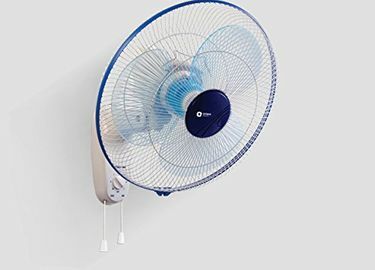 Wall mounted fans are a solution to rooms where there is not enough space on the floor to install a table fan or a pedestal fan. 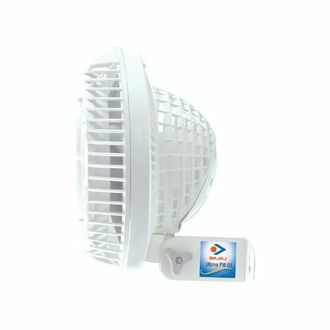 A wall mount fan makes great use of the space available on a wall which otherwise is unused. Wall fans, due to their advantageous height and angle, can be instrumental in providing the maximum amount of air circulation depending on the size of the room. They are low on maintenance which makes them the perfect choice for people who do not want to be calling the electrician all the time. 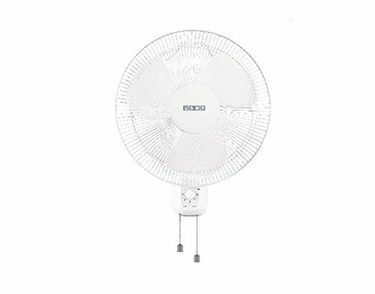 Energy-saving, powerful wall mounted fans included in this selection will give you the best performance and also cut down on your electricity budget. 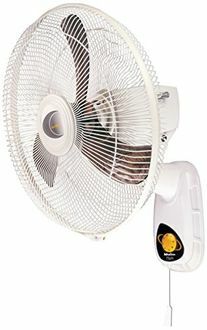 Buy the best-branded wall mount fans at the lowest prices by making use of the list compiled. 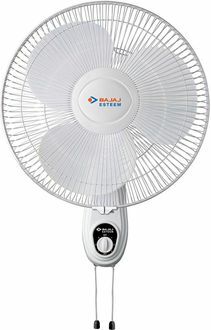 Branded wall mount fans such as Bajaj, Orient, Havells and many others can be bought at the cheapest prices. 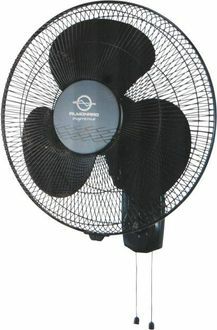 Buy at discounted prices, the most reliable wall mounted fans to get the best value for your money. Check out the pricelist below generated by mysmartprice.com which is updated every day to let you know of the best prices to buy branded wall mount fans across both online and offline resellers. Tax rates vary across different states in India which might cause a slight fluctuation in the prices. However, if you are ordering from a metro city like Bangalore, Chennai, Delhi, Hyderabad, Kolkata, or Mumbai, the prices shown above are absolutely valid as there is no variation in tax rates in these cities.